A Supreme Court Bench headed by Chief Justice of India TS Thakur today issued notice to Centre seeking response on a plea for setting up of National Court of Appeal with regional Benches. The Court has appointed Senior Advocates K.K.Venugopal and Salman Khurshid as Amicus Curiae in this Case. Interestingly in 2010, K.K.Venugopal in his landmark Jain Memorial Lecture on the subject “TOWARDS A HOLISTIC RESTRUCTURING OF THE SUPREME COURT OF INDIA” advocated the proposal of establishing National Court of Appeal. In an op-ed in ‘The Hindu’, on 29th April, 2010, KKV had re-iterating his earlier views on the issue, emphasized that the creation of four regional Courts of Appeal as final appellate courts, while restricting the Supreme Court of India to its true function as a Constitutional Court, has become imperative. Presidential References under Article 143 of the Constitution”. (ii) where a fundamental right of a person has prima facie been violated. However, it is for the Constitution Bench to which we are referring this matter to decide what are the kinds of cases in which discretion under Article 136 should be exercised. In our opinion, the time has now come when an authoritative decision by a Constitution Bench should lay down some broad guidelines as to when the discretion under Article 136 of the Constitution should be exercised, i.e., in what kind of cases a petition under Article 136 should be entertained. If special leave petitions are entertained against all and sundry kinds of orders passed by any court or tribunal, then this Court after some time will collapse under its own burden”. But a Five Judge Constitution Bench of the Supreme Court refused to revisit the scope of Article 136 of the Constitution of India or lay down guidelines regulating the power. The bench, comprising Justice Anil Dave, Justice Kurian Joseph, Justice A.K. Goel, Justice Rohinton Nariman and Justice S.K. Singh observed that the issue had already been settled in various decisions of the Apex Court and that “no effort should be made to restrict the power of the Supreme Court under Article 136”. Today the Supreme Court was hearing a 2014 PIL filed by Adv. V. Vasanthakumar. According to the Petition, “In the case of Bihar legal Society, the Constitution bench had observed that the Supreme Court was never intended to be a regular court of appeal against orders made by the High Court or the session’s court or the magistrates. It was created as an apex court for the purpose of laying down the law for the entire country and extraordinary jurisdiction for granting special leave was conferred upon it under Article 136 of the Constitution so that it could interfere whenever it found that the law was not correctly enunciated by the lower courts or tribunals and it was necessary to pronounce the correct law on the subject. The Law Commission of India headed by Shri. M.C. Setalvad, the then Attorney General of India, in its 14th report suggested that “although the exercise of the jurisdiction under Article 136 of the Constitution by the Supreme Court in criminal matters, sometimes serves to prevent injustice, yet the Court might be more chary of granting special leave in such matters as the practice of granting special leave freely has a tendency to affect the prestige of the High Courts.” The Law Commission of India under the Chairmanship of Justice K.K. Mathew, in its 95th report recommended that the Supreme Court of India should consist of two Divisions, namely; (a) Constitutional Division, and (b) Legal Division. Again in the 125th report, apart from vouching the recommendations made in the earlier report viz., 95th report, the Law Commission after taking in to consideration that the Supreme Court sits in Delhi alone, made a recommendation that a Federal Court of Appeal be established with Benches in places of North, South, East, West and Central part of India for the convenience of the people from distant places like Tamil Nadu in the South, Gujarat in the West and Assam and other States in the East have to spend huge amount on travel to reach Supreme Court. The petitioner is an advocate practising in the High Court of Madras. Being a student of Constitutional Law, he was undertaking a practise of comparison of the Constitutions of various countries with India, during which he came across the judgments and reports concerning the needs for establishment of a National Court of Appeal with regional Benches. 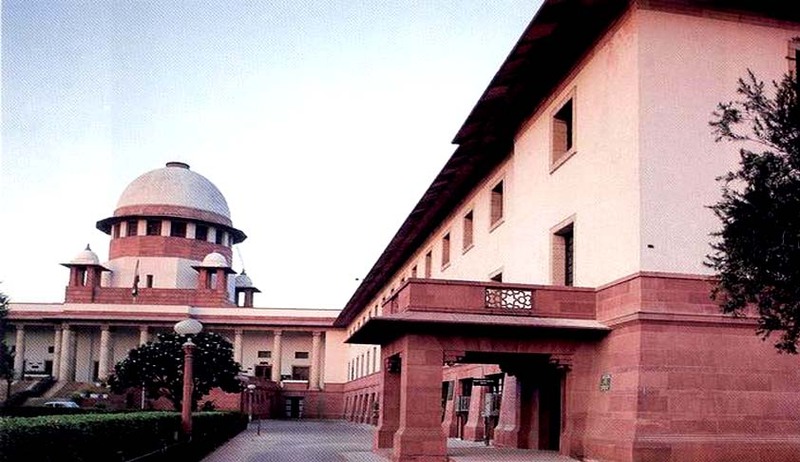 Highlighting the practicalities and hardships, the petitioner submitted that establishment of a “National Court of Appeal” as suggested in the case of Bihar Legal Support Society would rectify the inequality state of affairs inasmuch as the said National Court of Appeal would have benches in all possible regions of the country. This would considerably reduce the cost of litigation and would enable the litigants to have the services of the Lawyer who appeared for them before the High Court’.